The Mitsubishi e-Evolution was just unveiled this week at the 2017 Tokyo Motor Show. The auto is still in its concept stage but it promises to bring in high-performance elements similar to the discontinued Mitsubishi Lancer Evolution. 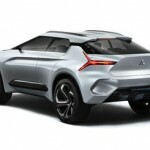 The Mitsubishi e-Evolution was classified by its maker as a crossover SUV. As the small letter “e” in its name implies, it is powered by electricity. 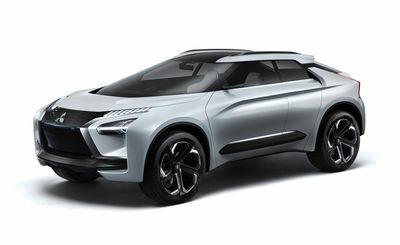 The concept marks the Japanese brand’s first time to integrate EV technology with a high-performance vehicle. According to a report, the e-Evolution makes use of three electric motors. The concept follows the same setup of the Lancer Evo, except that this one is electrified. Two of its motors are mounted to the rear wheels for better distribution of power and improved handling. Then the crossover possesses a four-wheel drive system. The battery pack for the electric motors of the vehicle is located in the middle part of its base just under the floor. 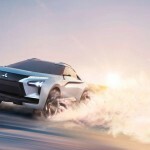 Mitsubishi said that it is to allow a better center of gravity for the auto. The e-Evolution is equipped with an AI package. The source said that the AI analyzes the skill of the crossover’s driver. After that, it uses its assessment in its “coaching function”, which recommends ways for the driver on how to go about the various road conditions. The aim of such feature is to make the handling of the auto enjoyable and safe to the driver even if he or she does not have the skills of the racing driver. 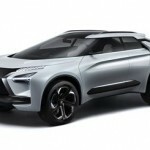 Since Mitsubishi is now a part of the Renault-Nissan alliance, it is expected that some of the technologies found in the coming EV will also appear in the future vehicles of Renault and Nissan under a different name.